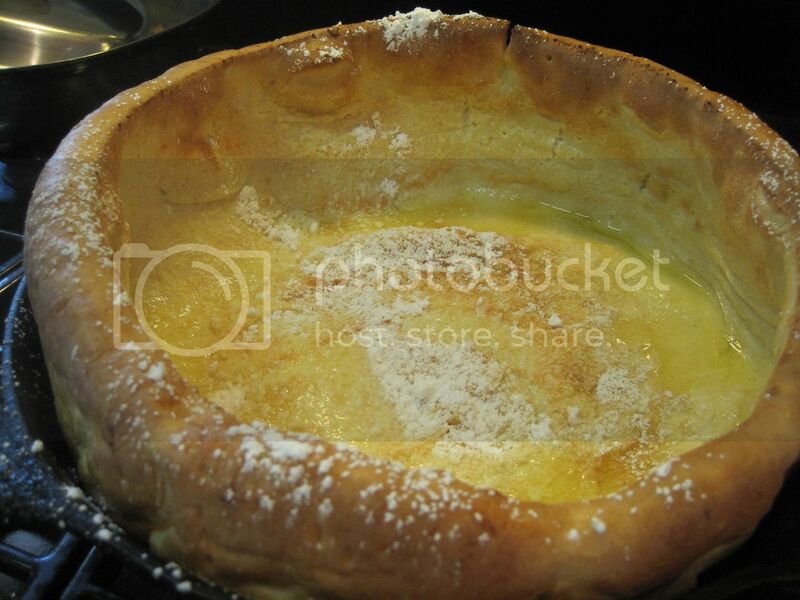 We found a recipe for Dutch Baby Pancakes in one of those parenting magazines a long time ago and it has become a favorite of my daughters’ since we first tried it. They loved how the batter puffs up and the flavor is really fantastic. It looks like a souffle’ when it comes out of the oven but the flavor and texture is very close to crepes. Now I had misplaced that magazine page when my daughter asked for this recently so I searched online and found the recipe below from What’s Cooking America and it is exactly the same recipe! 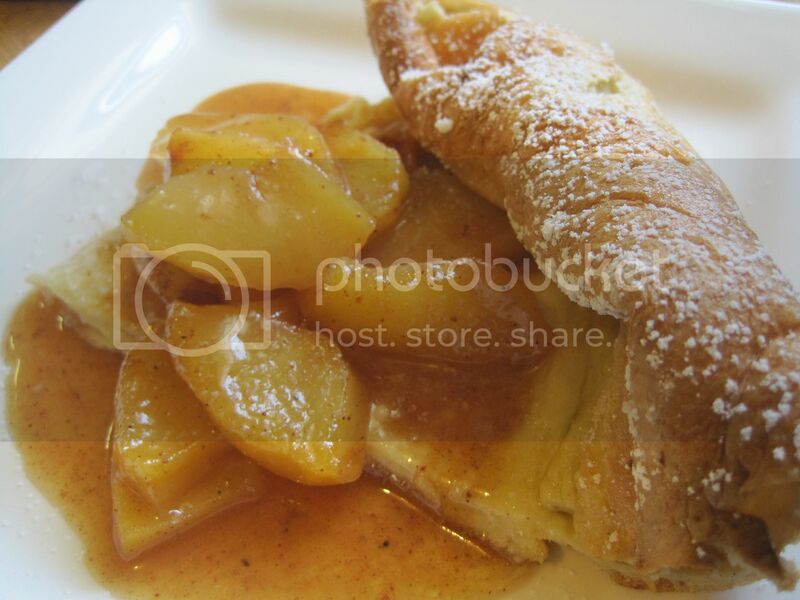 : Click on the reference link for the original recipe above which can also be easily doubled. I used the smaller proportion since when I made this it was only my daughter and I eating it. Preheat oven to 450 degrees F. Put a large, heavy ovenproof frying pan or a cast iron skillet in the oven. 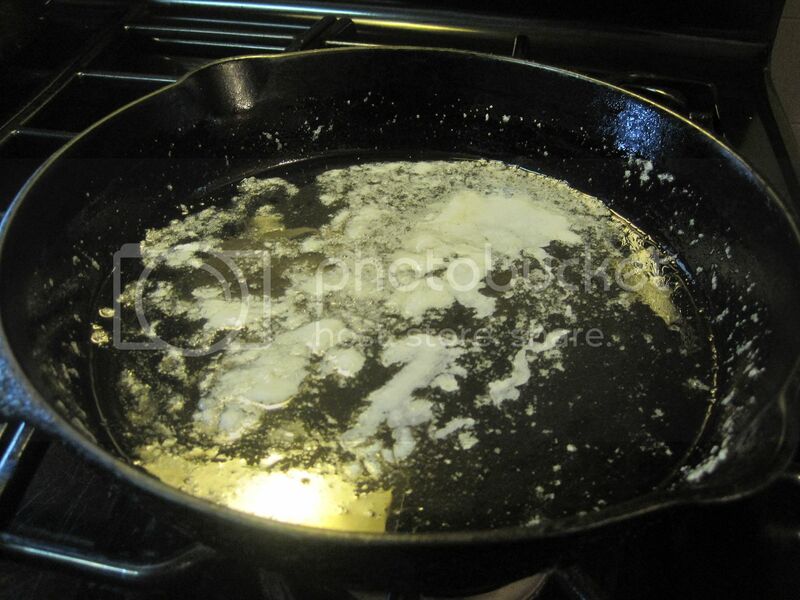 While pan is heating, prepare your batter. In a large bowl, beat the eggs until light and frothy; add milk, flour, vanilla extract, and cinnamon; beat for 5 minutes more. The batter will be thin, but very smooth and creamy. Using a pot holder, remove the hot skillet from the oven; add the butter; tilting the pan to melt the butter and coat the skillet. 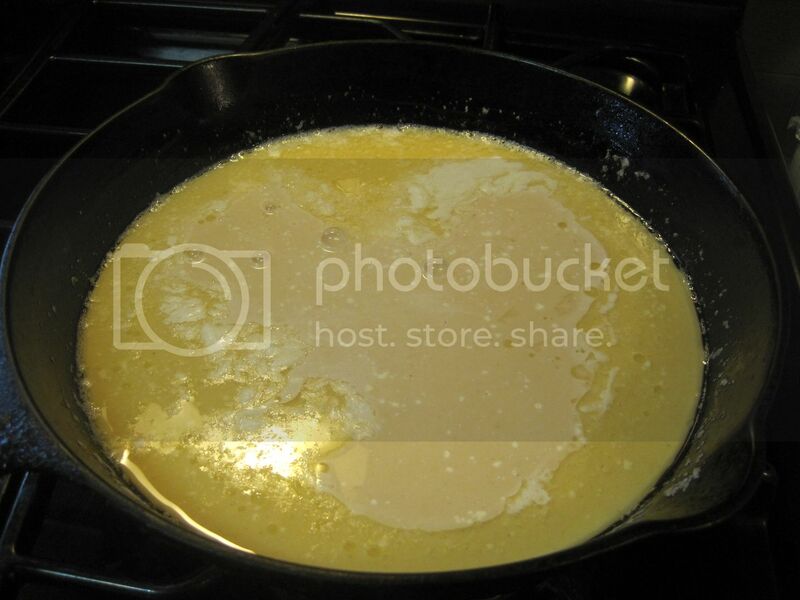 Pour the prepared batter into the hot skillet, all at once, and immediately return the skillet to the oven. 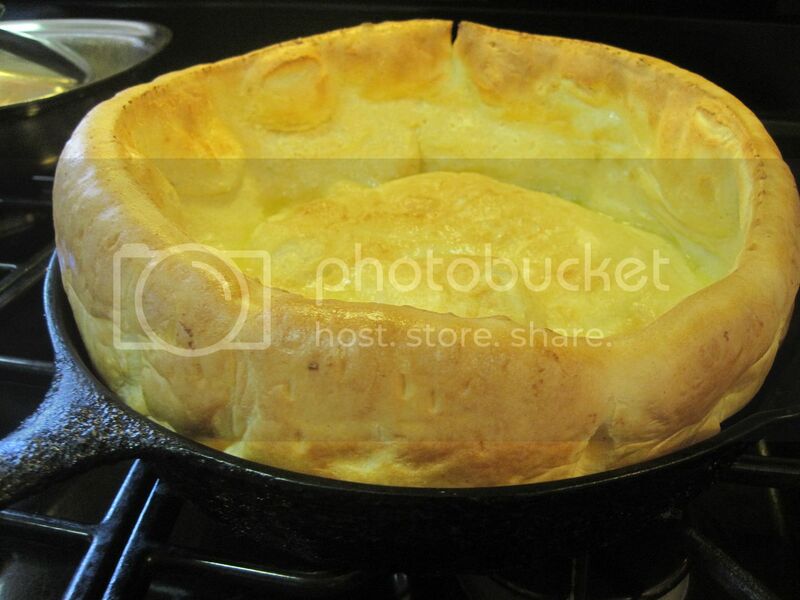 Bake approximately 20 to 25 minutes or until puffed and golden brown (bake until the pancake puffs up around the edges – it may puff irregularly in the center). Remove from oven and serve immediately. Either bring the pancake to the table in its pan or slide it onto a serving plate. Once out of the oven, the pancake will begin to deflate. You can sprinkle with powdered sugar and a spritz of lemon juice right before cutting it to serve. NOTE: It is very important that you preheat your oven and get your baking pan very hot.